From domestic intimacy to national politics, from the country of myth to the specifics of landscape, this collection of contemporary voices from Central Australia brings together for the first time a diverse group of poets whose common link is the place in which they live. The poems speak about love, loss, desire, memory, the ambiguous encounter, the moment that encapsulates a larger truth. 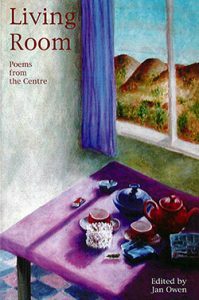 Ten poets contributed to the collection, evoking life and relationships in many places, both real and imagined, as well as the ‘living room’ of Central Australia.